Country with uncomparable cultural heritage, Greece is today still one of the most popular destinations in Europe. Mythology, philosophy and archeology… While intellectuals from all over the world are not done exploring its wealths, tourists keep on contemplating beauty of these lands full of History. Villanovo invites you to discover its most beautiful architect’s houses, for a luxurious stay to discover antic treasures. Cleverly built, Villa Naousa is a family house which combines conviviality and intimacy with a vast common space of natural light. The decor is a mix of furniture, paintings and design objects which testify of the love of the owner for art and the desire to smooth the house’s atmosphere of the house. Judge by yourself. Whereas its basic design planned two different villas linked by a pool, the architect being amazed to see what one unique villa of this kind could look like, he changed his mind. 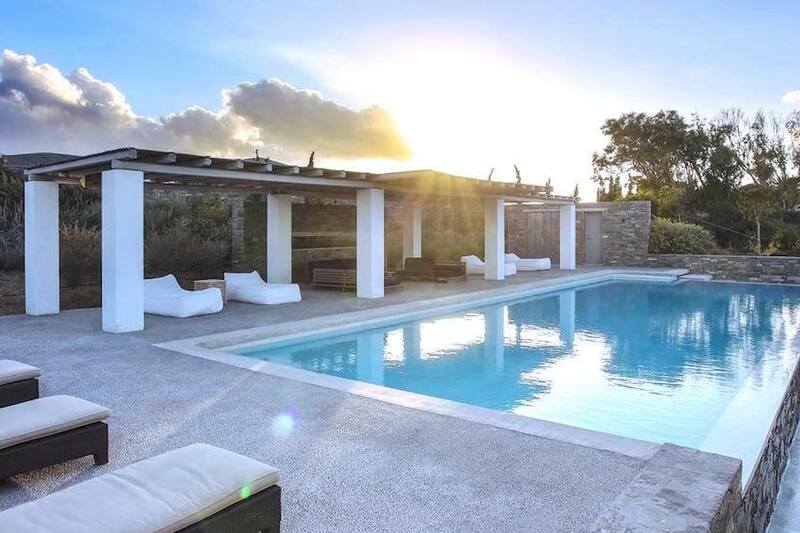 Indeed, perched above a field of olive trees and with a splendid view on the see of Antiparos, Villa Evan has a rare elegance. 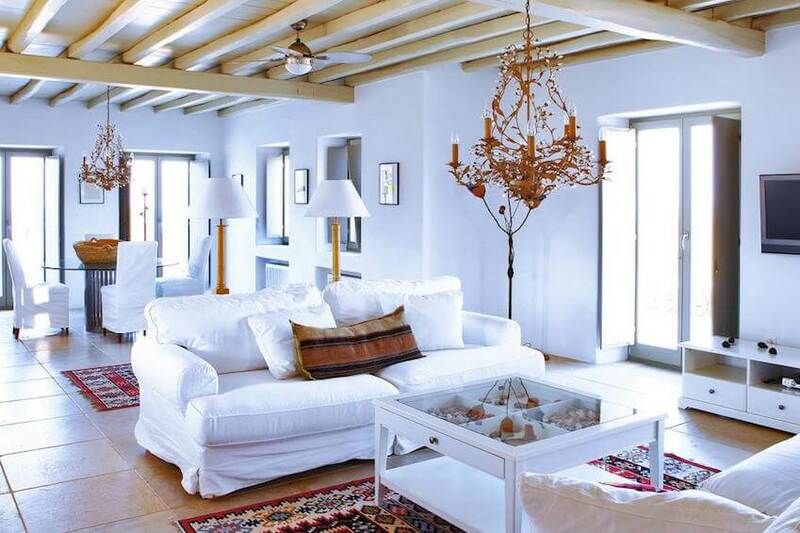 Between design and freshness, succumb to the charm of this sumptuous house which will make you spend wonderful vacations under the sun of Cyclades. 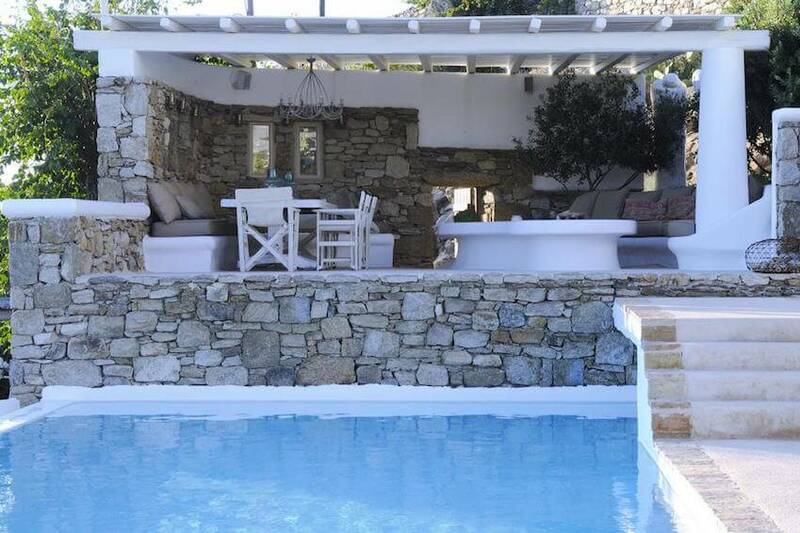 Dominating the beach of Lia in Mykonos, let yourself be cradled by all the poetry which springs from this residence with a view on Egee sea. With the possibility to rent it with its twin villa, Villa Asmi, to welcome bigger groups, don’t miss your chance to have a luxurious vacation with your loved ones in Villa Lia. Made in harmony with its natural environment, villa Soros I will seduce you by its environmental nature. After having crossed the principal entrance, between the olive trees, the scent of the herbs and wildflowers will awake your senses. Stone walls surrounding flowers create a peaceful atmosphere in villa of cyclade architecture. In line with the tastes of landlords, architect and contemporary painter, sophistication and comfort are what decorate each room. 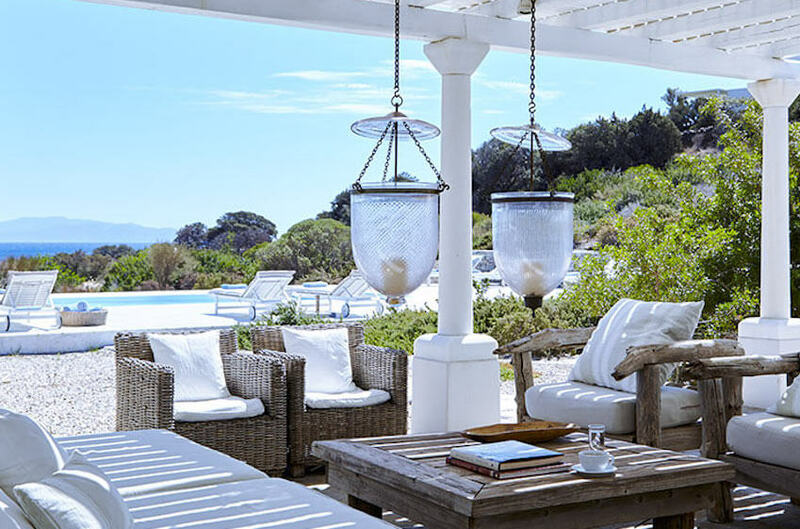 Near a beach of fine sand with crystaline waters, this villa with bohemian chic style offers a peaceful retreat in one of the most sumptuous environment. 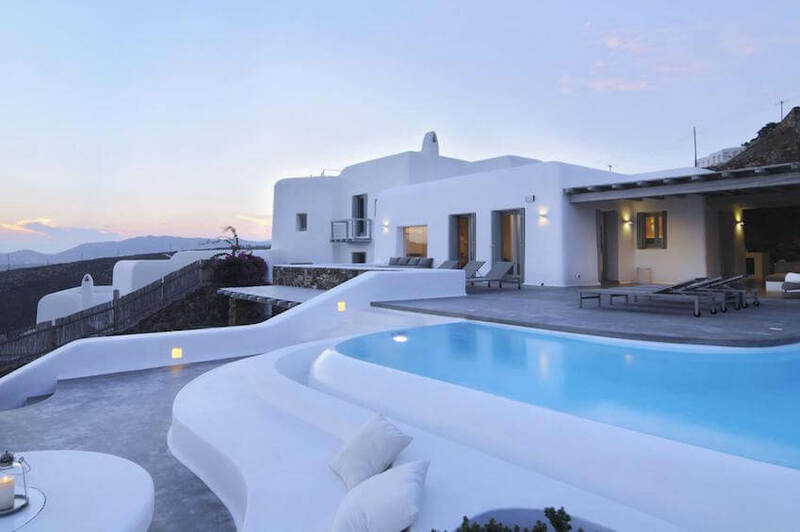 With its bright interior, the villa has been constructed in line with the traditional architecture of the island. With a maximum capacity of 10 persons, enjoy this villa for quiet family vacations in a restful environment. Part of a complex of three villas created by a couple of architecte, villa Belle has been built on three floors. With a breathtaking view on Mykonos from the terrace and infinity pool, the villa combines modernity and traditions with a decoration of great style. 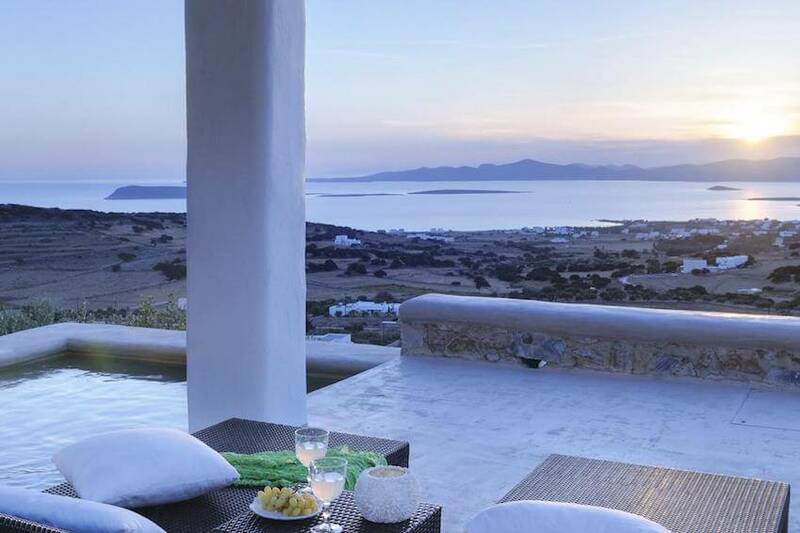 Admire sunset of Delos from Villa Ionas, a luxurious house of architect in Mykonos. Putting at your disposal all you can dream of, the house shines by its unique style and light thanks to its white large and typical interior spaces. Let yourself charmed by its stone walls nd wsim in the huge infinity pool where you can contemplate the view on Egee sea. House of famous greek architect, the ultra luxurious Villa Ingrid combines traditional vaulted ceilings and futurist lines for an elegant interior which has all modern amenities. Pool, jacuzzi and sea view, enjoy your vacation without worrying about anything in villa Ingrid. 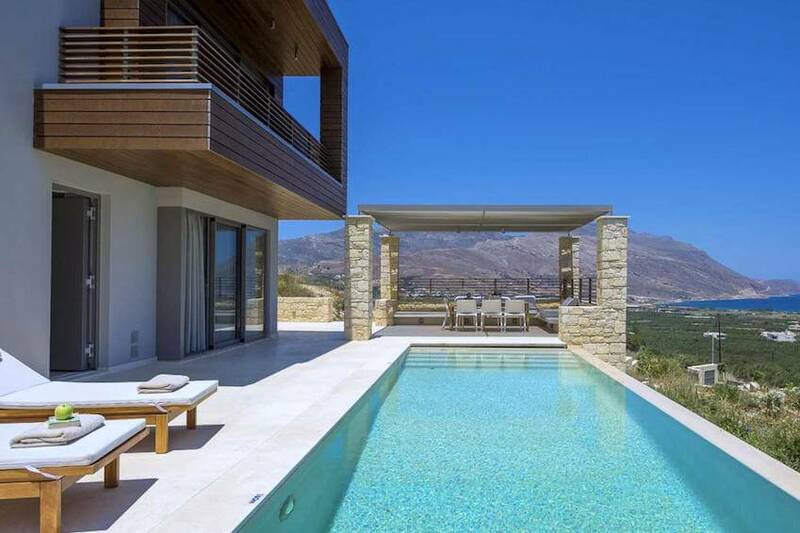 On the heights of the hill overhanging the turquoise waters of the Egee sea, villa Harmona is modern and bright. Decorated by the famous interior architect Stavroula Mauromataki, the house owns unique paintings, potteries and a high-range quality of furnitures, for your greatest comfort. With the possibility to welcome up to 5 persons, villa Harmona will be perfect for a luxurious and revigoring family stay. 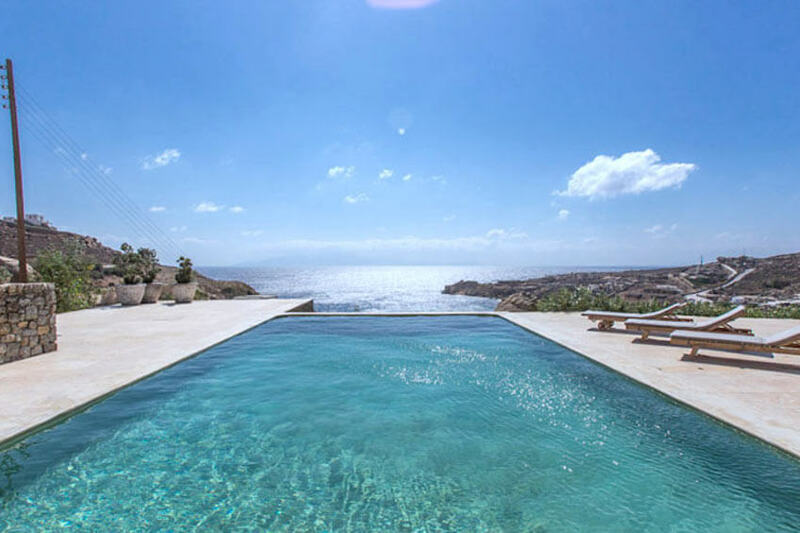 The genius spirit of two great architects made this unique property which will please to demanding travelers seeking for a unique experience in Mykonos. 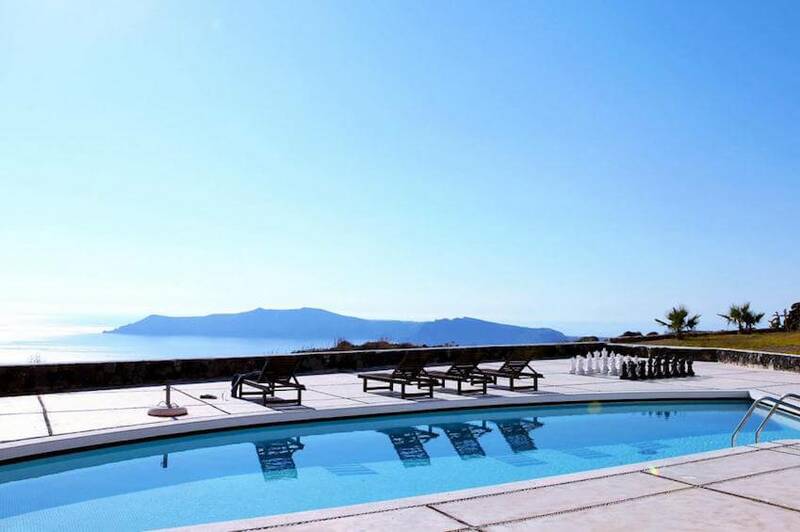 Overhanging Super Paradise Beach, one of the most animated beaches of the island, the villa owns a splendid private pool and can welcome up to 8 persons. In sum, the perfect villa for an elegant and dynamic stay with friends.